Reviewing the Viparspectra 300w Grow Light was a no brainer. Based on this LED grow lights popularity around novice growers, we wanted to put forth our Viparpectra 300w review to better understand why this light is held in high regards with its growers. Why is the Viparspectra 300w so popular? How many plants can you grow with the Viparspectra 300W? For starters, Viparspectra is still a fairly new company but has already started off with a great reputation for creating LED’s that make the mark for indoor growers. 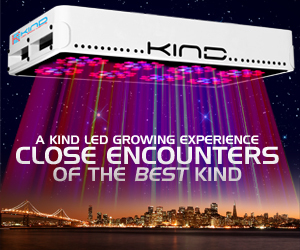 Every LED grow light they make, from the Viparspectra 450w to the PAR600 is built with indoor growing in mind. Also, the typical 5 watts LED bulbs nestled into each and every Viparspectra has been quality tested and set up to take full advantage of its full spectrum array of light. LED’s, in fact, have so many benefits for indoor growers that at this point in time, settling for a different type of bulb is almost foolish. This is going to be a fun Viparspectra 300w review so read on for the best insights into why this light is perfect for growing. Bulbs are probably the single most important thing to consider when growing. With LED bulb the advantage is obvious. So, you can see why LED’s have pretty much taken over the grow light market. The Viparspectra 300w LED is no exception. To start, the panel of this Viparspectra is easy to use and operate. Perfect for beginners who typically start with a small grow of maybe 1 or 2 plants. It has a fairly small coverage area at around 2 feet by 2 feet. It does, however, reach deep through the plant’s canopy and does it well. The embedded 5-watt bulbs supply a good mixture of full spectrum LED light along with IR (Infra Red) and UV (Ultra Violet) lighting. Our light arrived on time and in discreet packaging. The package itself came with the Viparspectra 300w LED grow light, one hanging kit, power cord and user manual. The V300 Viparspectra is part of Vipar’s reflector series lighting line up. Along with this lights durability came a 3-year warranty so if something goes wrong it is easily replaceable. We still have not had this brand break down on us, but it is nice to know the warranty is there. Although the Viparspectra 300 watt V300 is small, it can be expanded as your grow room expands. We used one Viparspectra 300w during our review, however, if we wanted to use a 2nd or 3rd light to increase our yields we could have easily done so with a certain feature. The feature is called a “daisy chain”. This allows you to connect a series of LED’s together to increase your growing yields by producing more plants. They simply plug in, one after the other to multiply your light output and increase your coverage area. A very nice feature. This means that if you start to get the knack of indoor growing, you can easily expand and grow more. Viparspectra is known for their chipsets. Made by reputable LED lighting manufacturers, these 5-watt bulbs come from companies such as Bridgelux and Epiled. Two well-known liquid emitting diode manufacturers. The LED’s in Viparspectra’s reflector series LED lights are angled at 90 degrees so they point straight down at your plants. PAR and lumen are the measurements of light output for a particular LED grow light and lighting in general. Many people get caught up in this measure but keep in mind there are many factors that ultimately control the yield of your crop and adverse effects on your plants. This was especially important with our Viparspectra 300w review as this model does not seem bright to the naked eye, but without eye protection, you can seriously damage your retinas. We always recommend using protection such as the Apollo Horticulture UV400 eyeglasses. They fit nicely over prescription glasses and do a great job at protecting your eyes from damage. The more PAR and Lumens, the stronger the intensity of your LED. V300’s PAR is best when the light is hung 2 feet over the top of the plant’s canopy. With this in mind, the ease at which the light is able to be raised is efficient with the included hanging kit. I tend to ignore lumens as this is a measure of light intensity to the human eye which is dangerous if you are trying to measure this yourself. Never stare directly at LED’s even if they seem dim. Always use protective wear such as the Apollo Indoor Growing Glasses. PAR is more of the lighting measure we are after. It combines light coverage along with intensity. Based on the Viparspectra 300 watt grow light PAR plants in their vegetative cycle should have the lighting coverage at 2 feet by 2 feet and the same goes for the flowering stage for best growth results. Keep in mind, don’t crowd your plants. If you need more plants, you will need more lights. If this is the case, these lights have a daisy chain feature that can accommodate this. One cannabis plant generally means one square foot, which means with the Viparspectra 300w reflector series LED grow light you can conceivably grow 2 plants at a time. Total best coverage area is 2×2 although you can expand out to a 3 x 3 growing area, which we do not recommend. If you need that 3rd plant you should buy 2 of these LED lights. For our Viparspectra 300w review, we used a single unit for our LED grow for a couple of reasons. The Viparspectra 300w is a low-profile built light that can fit into small grow tents. Because of this, we wanted to use it in a real-world setting to ensure our review was close to what one might do if they purchase this LED grow light. 30 days satisfaction or with a return guarantee. Perfect light for those just getting started with growing cannabis or any other plants. Due to its affordability, strength and growing output, we highly recommend the VIPARSPECTRA Reflector-Series 300W LED Grow Light Full Spectrum for Indoor Plants Veg and Flower. For other Viparspectra LED reviews check out the Viparspectra 450w reviews. One of our favorites for LED grow lights. We hope you enjoyed our Viparspectra 300w review and if you have any questions, use the comment section below.